Marvel.com: Cullen, what's the big picture in DEADPOOL VS. CARNAGE? Why are these two guys going toe-to-toe, other than it'll be really, really cool? Cullen Bunn: Since when is “cool” not enough? Have we, as a society, finally cast aside the shackles of coolness? If we have, I can finally stop saying I wear flannel shirts ironically, and just admit that I wear them because they’re comfortable, easy to maintain, and warm. But you’re right, of course. There has to be a reason for these two characters to lock horns and try to kill each other. In this case, Carnage has once again escaped, and he has embarked on a completely random killing spree. Because he’s acting without rhyme or reason, the authorities can’t track him. That’s where Deadpool comes in. He discovers that he has an unusual connection to Carnage, one that allows him to predict Carnage’s next move. But being that “in tune” with Carnage won’t be a picnic for Deadpool, and Carnage doesn’t want to spend a second in the madhouse that is Deadpool’s head. The best move, for both of them, is to kill the other one. Marvel.com: Okay, how would you characterize the upcoming battle? Cullen Bunn: This is a grudge match. Yes, if Deadpool fails to stop Carnage, the body count will continue to rise, but for the most part this is the story of two maniacs trying to do each other in. That said, I think there are a few moments in this story which will impact other Marvel characters—outside the title characters—in some major ways. Marvel.com: Well, what other characters will we see in DEADPOOL VS. CARNAGE? 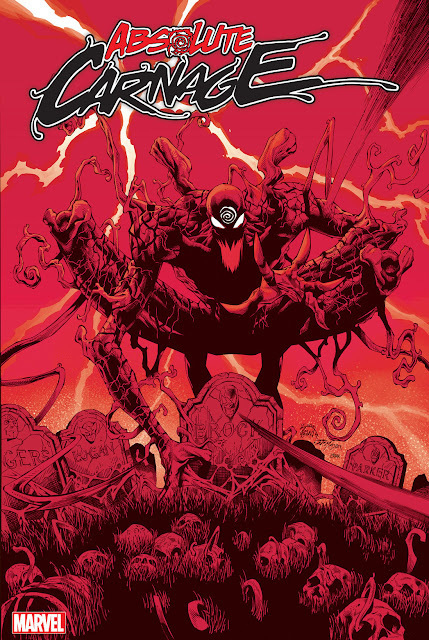 Cullen Bunn: For the most part, this story is focused on Deadpool and Carnage, but there are a few characters, most of whom have more of a connection to Carnage and the symbiotes. One of these characters is Carnage’s crazy groupie/girlfriend/stalker Shriek. She has a significant presence throughout the series as Carnage’s chief ally. Marvel.com: What are each combatant’s strengths in a fracas like this? Do either one of them have an edge on the other? Cullen Bunn: I think it’s easy to say that both Deadpool and Carnage are simply maniacs. Really, though, their insanities are vastly different, and these differences give each combatant his edge. Deadpool is wacky and zany; the picture of out-of-the-box homicidal thinking. His antics will take Carnage by surprise. Carnage, on the other hand, can’t be topped when it comes to sheer brutality. He lives up to his namesake in ways that Deadpool’s vaunted healing factor can’t handle. Marvel.com: Now, how do you pit two titans like this against each other without making either one of their fanbases upset over the outcome? Cullen Bunn: The only way to keep both fanbases happy is to be as true to each character as possible. In a fight like this, there has to be a winner and a loser, but my hope is that each character has their fair share of great moments. No matter who loses, they’ll go down swinging like a champ. 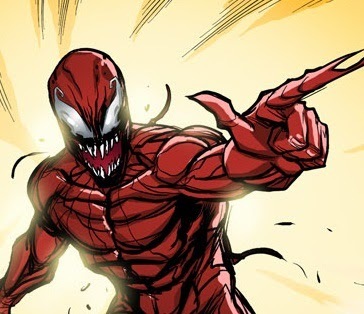 Which characters that have a connection to Carnage and the symbiotes would you most like to see show up?